The patriarch of the Sullivan dynasty, Edward “Eddie” J. Sullivan passed away on July 24, 2007, after a brief illness, having only retired from public office in January of 2007. He became ill in late April. Sullivan entered politics succeeding his late father Michael “Mickey the Dude” being elected to the Cambridge City Council in November of 1949 serving for ten years until his election as Clerk of Courts in November of 1959. Edward served as Mayor of Cambridge in 1956-1957. He had made one earlier attempt at the Clerk’s office running in 1952 against a Republican but failed to win that election. However, upon his second run for the office he not only won, but was re-elected by the voters of Middlesex County in each of the next seven elections. At the time of his retirement from office he had become the longest serving politician in State service, an achievement formally recognized by the State Democratic Convention in June of 2006. During the 1958 election, his republican opponent referred to him as “a truck driver”! Upon winning, and meeting with the staff appointed by his predecessor Charles Hughes, he told them two things, first no one was about to lose their job because he had won the election and secondly, yes he was a truck driver, but now he actually owned the company! 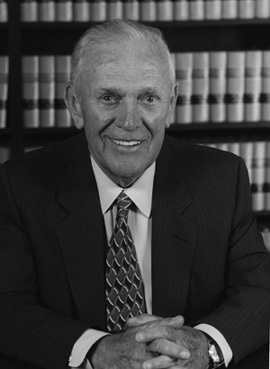 During his tenure Edward Sullivan re-organized and professionalized the Office, implemented a computerization system and partnered with the leadership of the Trial Court to establish what is known today as the one-day-one –case jury system. In fact he was so much into the technology era, that during his last run for re-election he even created a website “eddieclerkofcourts.com." Under his leadership and without any affirmative action mandates, the talent of minorities and women was recognized and promoted throughout his office. In fact he was responsible for nominating and having the Supreme Judicial Court confirm the first woman to ever be selected as the First Assistant Clerk-Magistrate of the Court. Born in Cambridge in 1921, he was a man of simple means attended local schools prior to serving his Country in World War II as a member of the United States Navy. He was a member of American Legion Post 27 and the Veteran’s of Foreign Wars Post 299. Upon being honorably discharged he went to work for his father’s trucking company and in 1949 became its President. He also became the co-owner of the Sullivan-Twomey Insurance Agency. He held several positions involving both civic and corporate responsibility including seats on the Charlesbank Trust Company, US Trust Bank and Youville Hospital. In Cambridge the name Sullivan is synonymous with public service, substantiated by the fact that a member of the Sullivan family has held a seat on the Cambridge City Council for seventy-one years, up to the present with Edward’s nephew Michael, currently holding the seat and who incidentally succeeded him in the Clerk’s office in January of this year. Throughout his professional and political career, Edward Sullivan has carried the Sullivan name and mantra of integrity, honesty and commitment to public service. His motto has always been “my door is always open”. Although the door will always remain open, it will just take a little longer for us to walk through it! As WBZ Radio talk show host Paul Sullivan wrote in September of 2006, “never did anyone ever criticize his agenda, his honesty, and his dedication to service”! He really loved what he did! Sullivan was seen as an “old school politician” far more interested in helping some one in need than worrying about hiring pollsters to test public opinion on what to do or what to say. He always acted with firmness, and precision. And most assuredly on behalf of the people who asked for his help, no matter what the problem happened to be. Sure he may have been an old style pol, but he was no hack. He took he role seriously, exercised care and discretion and made appointments within his office based on competence, commitment and yes, maybe once and a while with a little deference to a supporter! He over saw a multi-million dollar budget with an office staff of roughly 83 employees. An office incidentally often singled out by Justices and Trial Court administrators as being the most efficient clerk’s office in the Commonwealth! He was as comfortable walking with Presidents and Kings as he was with his constituents, friends and colleagues. Throughout his long career, he befriended many national politicians including the late Presidents John F. Kennedy, Lyndon Baines Johnson, former US Speaker Thomas P. “Tip” O’Neill Jr. and the late Governor Ed King. Speaker O’Neill and Eddie Sullivan worked closely on charitable events specifically involving the Annual Golf Tournament for the Youville Hospital that they both held in such high regard for the wonderful work they do. In a time when political leaders throughout the country are seen by the electorate with disappointment and disdain, Eddie Sullivan’s death will always be viewed for what it really was, a tremendous loss of a career politician who really did give a damn for the little guy! Brian Mooney really got it right when he wrote in a column about Edward in August of 2000, when he said “you better catch him while you can, they have discontinued this model! For those who didn’t take his advice, it’s a shame because you missed a hell of guy!!" Edward is the son of the late Michael (Mickey the Dude) and Mary (Hart) Sullivan. Edward is survived by his beloved wife Jacqueline (Scully), brothers William, and Walter, sisters Katherine, and Jean and many nieces and nephews. He is the brother of the late James, Robert, Mary (McMorrow) and Dorothy (Powers) Sullivan.